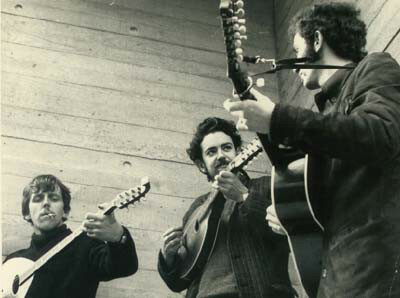 One of the bands that emerged from the mid-sixties Irish roots revival was Sweeney’s Men, who were formed in Dublin in May 1966, by Andy Irvine, “Galway Joe” Dolan and Johnny Moynihan. 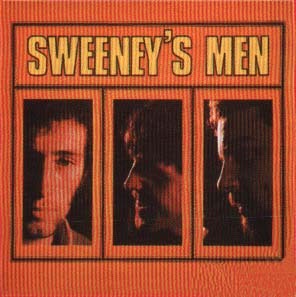 Sweeney’s Men were together for just three years, and released two albums which feature one of the most important and groundbreaking Irish folk bands who went on to influence a generation of electric folk groups, including Planxty, Moving Hearts, Steeleye Span, and later, groups like The Pogues and Moonshine. By then, Sweeney’s Men story was over. Four years before Sweeney’s Men was formed, O’Donoghue’s Pub in Dublin was where many Irish folk musicians gravitated and played in the evenings. Those that drank in the pub saw The Dubliners, The Fureys, Seamus Ennis and Irvine who was born in London in 1942 to Scottish and Irish parents. Andy Irvine was a former child actor, who as an eight year old, had featured in the film A Tale Of Two Cities. He also took to the stage in London and Dublin, which was how he first discovered the city. Later, Andy Irvine became fascinated by American folk and blues music, after discovering Woody Guthrie and Ramblin’ Jack Elliot. However, when the twenty year old moved to Dublin, and discovered O’Donoghue’s Pub he became interested in Irish folk music. As his interest in folk music blossomed, Andy Irvine met Johnny Moynihan one night in O’Donoghue’s Pub, and the pair started traveling the length and breadth of Ireland to music festivals. It wasn’t long before the pair began performing at various folk venues in Dublin, an sometimes, they were joined by Johnny Moynihan’s girlfriend Anne Briggs, who was also a folk singer. Regardless of whether they performed as a duo or a trio, the audience’s reaction was inconsistent. Sometimes, they were wildly enthusiastic, other times, the response bordered on indifferent. On these nights, they left the stage feeling deflated and wondering if there was something missing? Maybe they needed to change their lineup? Johnny Moynihan stayed at home, and continued to work as a draftsman in Roscommon. Music was something he did in his spare time. Meanwhile, Andy Irvine had got as far as Denmark, where he Eamon O’Doherty were playing some club gigs. That was when he received a message from another musician “Galway Joe” Dolan. He was a former member of Irish showband Premier Aces, who had embarked upon a career as a folk musician. Galway Joe” Dolan had secured a booking for the entire summer at the Enda Hotel in Galway, and wanted Andy Irvine to join him. When Andy Irvine heard the news, he returned home and headed to Galway where they were to stay in a cottage behind the hotel. At the weekend, Johnny Moynihan would head to Galway and stay at Andy Irvine and Galway Joe” Dolan’s rural idyll, and join them when they played live. Everything was going well for two or three weeks, until Galway Joe” Dolan had a fight with hotel owner. That was the end of their summer season at the Enda Hotel. Despite not having any bookings, the three friends decided to travel around Ireland, playing wherever they could land a gig. The three men decided to name their group after the pagan king Suibhne, who was cursed for throwing a cleric’s bell into a lake. However, when Suibhne is anglicised it became Sweeney which lead to the trio becoming Sweeney’s Men. The newly named Sweeney’s Men spent their first summer touring Ireland in an old red Volkswagen van. Little did the trio know that the summer the spent touring the Emerald Isle was akin to a musical apprenticeship and when they return home to Dublin in the autumn, the three members of Sweeney’s Men were well on their way to becoming professional musicians. With the arrival of autumn, Sweeney’s Men returned to Dublin and lived in a house in North Strand Street. Not long after this, they met Des Kelly, a member of the Capitol Showband who became their manager. By then, Sweeney’s Men had turned their back on popular, sentimental ballads that peppered the sets of the older Irish bands. Replacing these songs, were a very different type of ballad, that came from America, England, Ireland and Scotland. They featured incredibly complex arrangements that Sweeney’s Men played on a guitar, mandolin and bazouki. They provided the backdrop as the trio of unique voices complimented each other and became part of Sweeney’s Men’s trademark sound that they continued to hone in Dublin’s clubs. However, Sweeney’s Men knew they were more than ready to record their debut single. Sweeney’s Men went into the studio and recorded several songs, including Pecker Dunne’s Sullivan’s John which was, released on Transatlantic Records in 1968. Before that, Sweeney’s Men would sign to Pye Records, and released Old Maid In The Garret as their debut single during first half of 1967. However, much would happen before then. This included a change in Sweeney’s Men’s lineup when “Galway Joe” Dolan left the group, and later, journeyed to Israel. Fortunately, Paul Brady was able to replace “Galway Joe” Dolan and probed a more than adequate replacement when he joined Sweeney’s Men for a gig in Limerick. Unfortunately, Sweeney’s Men were unable to secure Paul Brady’s services long-term, and he joined The Johnstons. Finding a replacement for “Galway Joe” Dolan, and someone of the calibre of Paul Brady proved problematic, and it took time for Sweeney’s Men to settle on Terry Woods. He was a tenor vocalist who played guitar, 5-string banjo and accordion. Terry Woods had grownup listening to folk, blues and country music, and was already a fan of Sweeney’s Men’s music. With a new lineup of Andy Irvine, Johnny Moynihan and Terry Woods, Sweeney’s Men recorded their second single for Pye International, Waxie’s Dargle. It was also the final single that Sweeney’s Men released on Pye Records. By then, Sweeney’s Men had changed managers, and were now managed by Roddy Hickson, John Mahon and Gerry McDonagh, also managed The Johnston. Changing managers was a good move for Sweeney’s Men as they were able to get bookings at some of Dublin’s top folk clubs. Their new managers also managed to get Sweeney’s Men onto the ballroom circuit, where they earned £50 a night for a thirty-minute set. Sweeney’s Men’s new management team secured a recording deal with Transatlantic Records in early 1968. This was the break Sweeney’s Men had been waiting for. Now signed to Transatlantic Records, the three members of Sweeney’s Men began working on their eponymous debut album. They chose thirteen songs, including Pecker Dunne’s Sullivan’s John, Peggy Seeger and Terry Woods’ My Dearest Dear, Dominic Behan’s Dicey Riley and Frank Warner’s Tom Dooley. They were joined by nine traditional songs, including Sally Brown, Exile’s Jig, The Handsome Cabin Boy, Willy O’Winsbury, Dance To Your Daddy, The House Carpenter, Johnstone, Reynard The Fox and Rattlin’ Roarin’ Willy which is believed to have been written by Scottish poet Robert Burns. Most of the traditional songs were arranged by Sweeney’s Men, except Willy O’Winsbury which Andy Irvine arranged. These songs were then recorded during a memorable session. With the material chosen, Sweeney’s Men entered the studio with their unique mixture of disparate instruments. They all added vocals and harmonies, while Andy Irvine played guitar, mandolin, bazouki and harmonica. Johnny Moynihan played tin whistle and bazouki, and nowadays, is regarded as the first musician to incorporate the bazouki into Irish music. Terry woods played guitar, 12-string guitar, banjo and accordion. Taking charge of production was Bill Leader, who oversaw a thirty-six hour marathon recording session that was fuelled by countless pints of Guinness and a steady supply of Dexedrine. Eventually, after the marathon recording session Sweeney’s Men was completed in time. This was fortunate, as Terry Woods was about to marry Gay Concaron in Dublin, on the ‘18th’ of May 1968. Terry Woods had asked Andy Irvine to be the best man, and the wedding was a double celebration given Sweeney’s Men had just completed their eponymous debut album. When Sweeney’s Men was released later in 1968, critics discovered an album which featured a carefully chosen selection of American, English, Irish and Scottish folk songs. Unlike most folk bands, Sweeney’s Men didn’t have just the one, or even two vocalists. Instead, they the vocals were shared between the three musicians, with great care taken to find the right vocal for the song. They were accompanied by harmonies and a unique blend of musical instruments quite different from many Irish folk bands were using. Especially the bazouki which Sweeney’s Men pioneered, on an album where the unique and inimitable choice of instruments was imaginative and inventive as they work their way through the thirteen songs that featured on their eponymous debut album. Sweeney’s Men was an album that divided the opinion of critics, and the reviews were mixed. It was only later that critics and musical historians would realise how important and influential a Sweeney’s Men and their debut album was. One member of Sweeney’s Men took the mixed reviews of their eponymous debut album badly. It was the final straw for Andy Irvine, who hadn’t been happy playing the ballroom circuit, even though they were earning £50 a night. The audience didn’t sit and listen to the bands like they did in folk clubs, and Andy Irvine saw this as a disrespectful. By then, he was ready to try something different, and when he left Sweeney’s Men travelled to Eastern Europe to discover the indigenous music. After Andy Irvine’s departure from Sweeney’s Men, the search for a replacement began. Eventually, the two remaining members settled on Henry McCullough, the Eire Apparent guitarist from Portstewart, Northern Ireland was recruited. With Henry McCullough onboard, a new era began for what was Sweeney’s Men Mk III. Henry McCullough was part of the band when they played on the RTE television series Twenty Minutes With, and by then, there were elements of African and Eastern music to Sweeney’s Men’s sound. There was also a shift towards a more psychedelic sound. This became apparent when Sweeney’s Men played at Liberty Hall, in Dublin. For the first half, Andy Irvine joined Johnny Moynihan and Terry Woods. Then after the break, Henry McCullough joined Sweeney’s Men as they showcased their new contemporary sound which sometimes, incorporated elements of psychedelia. Little did Sweeney’s Men realise that this was their swan-song at Liberty Hall. Later in 1968, Sweeney’s Men played at the Cambridge Folk Festival, where they once again, showcased their new contemporary sound. By then, Henry McCullough who had introduced the electric guitar to Sweeney’s Men had started writing some new songs. Two of these would feature on Sweeney’s Men sophomore album The Tracks Of Sweeney. Much would happen before that. Not long after their appearance at the Cambridge Folk Festival, Henry McCullough left Sweeney’s Men. He had been won over by the John Mayall’s set of electric blues at the Woodstock Festival. This he thought was the future. For the third time, Sweeney’s Men was reduced to a duo. The two remaining members of Sweeney’s Men started looking for a replacement. Eventually, the settled on singer, guitarist and 5-string banjo player Al O’Donnell. He became third member of Sweeney’s Men Mk IV. However, Al O’Donnell left Sweeney’s Men by the winter of 1968. This left Sweeney’s Men to tour Britain as a duo. However, when Sweeney’s Men arrived in London they met Andy Irvine and talks began about him rejoining the band. However, too much water had passed under the bridge. Not long after this, Sweeney’s Men spilt-up for the first time. Johnny Moynihan played tin whistle on Skid Row’s debut single New Faces Old Places. Meanwhile, Terry Woods had met and started working with Phil Lynott who had founded his new band Orphanage. With the two remaining members of Sweeney’s Men working with other musicians, this looked like the of the band. That was until early 1969, when Johnny Moynihan and Terry Woods agreed to reform Sweeney’s Men. Soon, they were working on their sophomore album The Tracks Of Sweeney. Rather than try to bring onboard a third member of Sweeney’s Men, Johnny Moynihan and Terry Woods decided to record The Tracks Of Sweeney as a duo. Eleven tracks were chosen for The Tracks Of Sweeney, including four penned by Terry Woods. He wrote Dreams For Me, Brain Jam, When You Don’t Cry and Afterthoughts, and previously had written A Mistake No Doubt Henry McCullough who also contributed Hall Of Mirrors. They were joined by Leonard Cohen’s Go By Brooks and a quartet of traditional songs. This included the instrumental The Pipe On The Hob, plus Pretty Polly, Standing On The Shore and Hiram Hubbard. These songs were recorded in early 1969. When recording began at Livingston Recording Studios, Barnet, Sweeney’s Men used the two vocalists and a disparate selection of instruments to achieve their new Acid Folk sound on much of the album. Johnny Moynihan played bazouki and tin whistle, while Terry Woods played guitar, 12-string guitar, banjo and accordion. Once the eleven tracks that became The Tracks Of Sweeney were complete, that marked the end of Sweeney’s Men’s recording career. 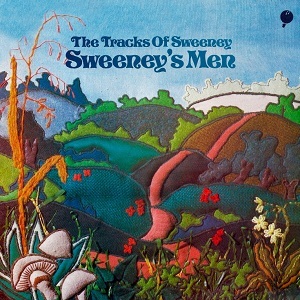 Sweeney’s Men’s sophomore album was a mixture of styles, and found them embracing the Acid Folk sound on number of songs Tracks Of Sweeney. Especially tracks like Dreams For Me, Brain Jam, A Mistake No Doubt, Go By Brooks, When You Don’t Care For Me. The only Irish jig was The Pipe On The Hob, while Pretty Polly, Standing On The Shore and Hiram Hubbard on looked towards traditional American folk music. Many critics felt that Tracks Of Sweeney was a much better album that its predecessor. Sadly, by the time it was released in late 1969, the Sweeney’s Men story was over. After three years and what are now regarded as two important and influential albums, Sweeney’s Men split-up. The two remaining members of the group went their separate ways. In some ways, it was a case of what might have been? What direction would Sweeney’s Men have headed in the future, and were they on the cusp of a commercial breakthrough? However, Sweeney’s Men left behind a rich musical legacy that includes their two albums Sweeney’s Men and The Tracks Of Sweeney. These two albums, Sweeney’s Men and The Tracks Of Sweeney, feature one of the most important and groundbreaking Irish folk bands of the late-sixties. Sweeney’s Men went on to influence a generation of electric folk groups, including Planxty, Moving Hearts, Steeleye Span, and later, groups like The Pogues and Moonshine. Even today, Sweeney’s Men continue to influence a new generation of folk musicians, who look to their two groundbreaking albums, Sweeney’s Men and The Tracks Of Sweeney for inspiration for the music of tomorrow. ← THE JOHNSTONS-A STORY OF WHAT MIGHT HAVE BEEN?